Toyota refers to the Sienna as “the original swagger wagon.” In fact, the company created a music video to get the message across that the Sienna is not just any old minivan for a run-of-the-mill family. The minivan includes features that make drivers and their families feel a little more upscale. The Sienna comes in a variety of trims. These options allow owners to customize the car according to their specific needs and budget. The Sienna is a minivan that brings out the owner’s individual swagger. The Toyota Sienna LE comes in a seven-passenger or eight-passenger model. To accommodate eight passengers, the Sienna trades out captain’s chairs with armrests in the second row for a three-person bench seat. The seats fold down for easy access to the rear seating. The Toyota Sienna LE is available in front-wheel drive or all-wheel drive options. The all-wheel drive version gets slightly fewer miles per gallon but provides the power necessary to maneuver over more rugged terrain. Premium cloth makes this model feel a little more luxurious. This model adds a few more comfort features to the eight-passenger LE. Heated and cooled seats are standard on the SE. Keyless ignition makes starting the car simpler. The leather seats take the interior styling up a notch. 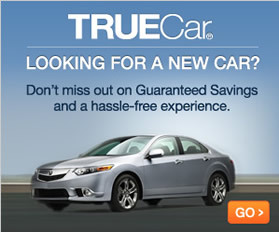 The safety features are comparable with the lower-priced models. However, the SE does come with an anti-theft system and the option for a power glass sunroof. This model is available in fewer colors than the L or the LE. The Toyota Sienna XLE comes in an eight-passenger version with front-wheel drive and a seven-passenger version with all-wheel drive. In addition to the standard interior features available with the SE, the XLE features parking assistance. The power glass sunroof is standard, providing the consumer with more options for light and ventilation in the vehicle. The Toyota Sienna XLE Premium is available in a seven-passenger all-wheel drive version or an eight-passenger front-wheel drive version. The interior features are similar to those of the XLE. However, the premium model includes a standard rear seat DVD player. This is an ideal option for families who want to provide the kids with distraction and entertainment while on the road. As with the seven-passenger XLE, the seven-passenger XLE premium comes with run-flat tires. These allow you to drive even when the tire has low pressure or has been punctured. The SE Premium is an eight-passenger van. It doesn’t include parking assistance, which comes standard with the XLE and XLE Premium models, but it does have all the other interior and safety features that those models include. The main differences between the SE Premium and SE are that the Premium model contains a rear seat DVD player and a power glass sunroof. The Toyota Sienna Limited comes in both front-wheel drive and all-wheel drive options. It does not include HD radio or a rear seat DVD. However, parking assistance and a premium sound system are standard. It also includes Toyota’s Safety Connect roadside assistance service. Safety Connect also includes an airbag deployment notification and stolen vehicle tracking service. The seats are covered in premium leather for enhanced comfort, durability and luxury. 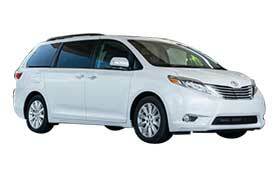 Toyota’s top-of-the-line Sienna model also offers front-wheel drive and all-wheel drive options. All of the interior features are the same as those available in the Limited model, but the Limited Premium does include the rear seat DVD. The Limited and the Limited Premium models do not have the option for eight-passenger seating. All of the Toyota Sienna models feature satellite radio, HD radio, navigation and power seats. All-season tires are provided with every model, and all of the models have six-speed automatic transmission. Consumers who are looking for a vehicle with plenty of seating and cargo options and a reputation for reliability will find that the Toyota Sienna offers several models to suit their lifestyle. The sport-tuned suspension on the SE model may even entice those without a family to purchase it for its dependability and versatility.